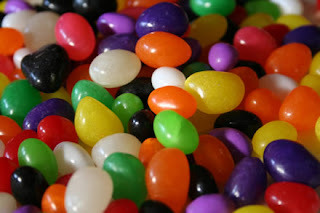 Jelly beans - who doesn't love jelly beans? 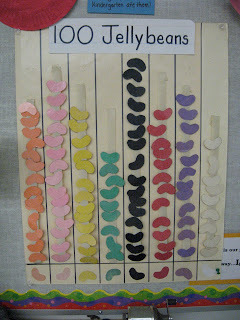 Last week we graphed (and ate) 100 jelly beans. 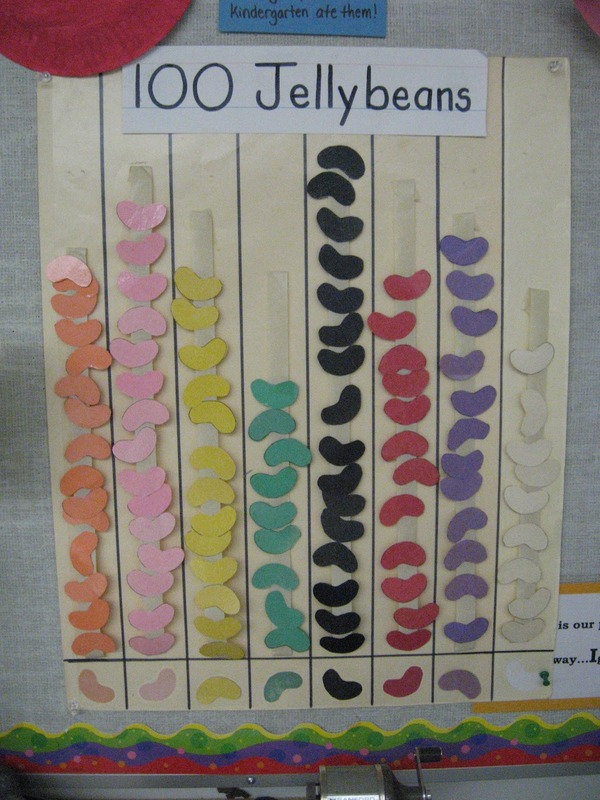 Twenty kids in the class works well for graphing 100 items; each kid ate and graphed 5 jelly beans. My favourite flavour had the most jelly beans. The kids enjoyed the story of Picasso, a tree frog who falls into a jar of jelly beans and turns the colours of the rainbow - until he wants to return to his original green. The Jelly Bean Fun Book is filled with puzzles and games created with jelly beans. 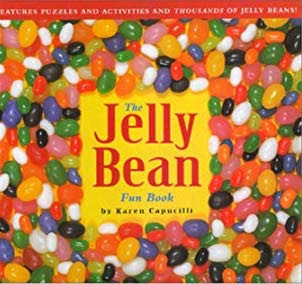 The favourite was words created backwards in jelly beans; you had to hold the book up to a mirror to read the words the right way round. You just have to move to the song One Green Jelly Bean. It puts you in a good mood just singing it. We sing it faster than they do in this video with actions through the song. 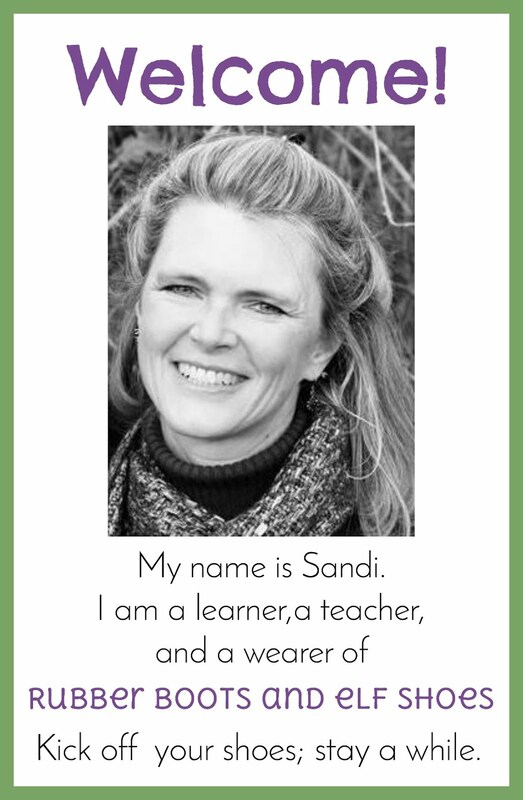 Many years ago I came across this jelly bean poem (when I kept my poems on recipe cards in a box!). 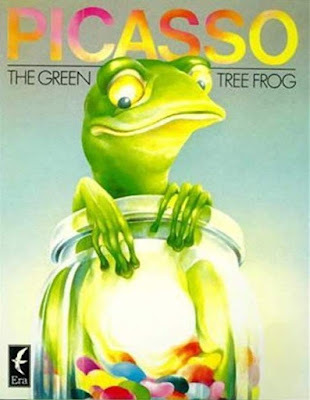 I have googled it to see if I can find a source - no luck yet. If anyone knows who wrote it, I would love to acknowledge the author. 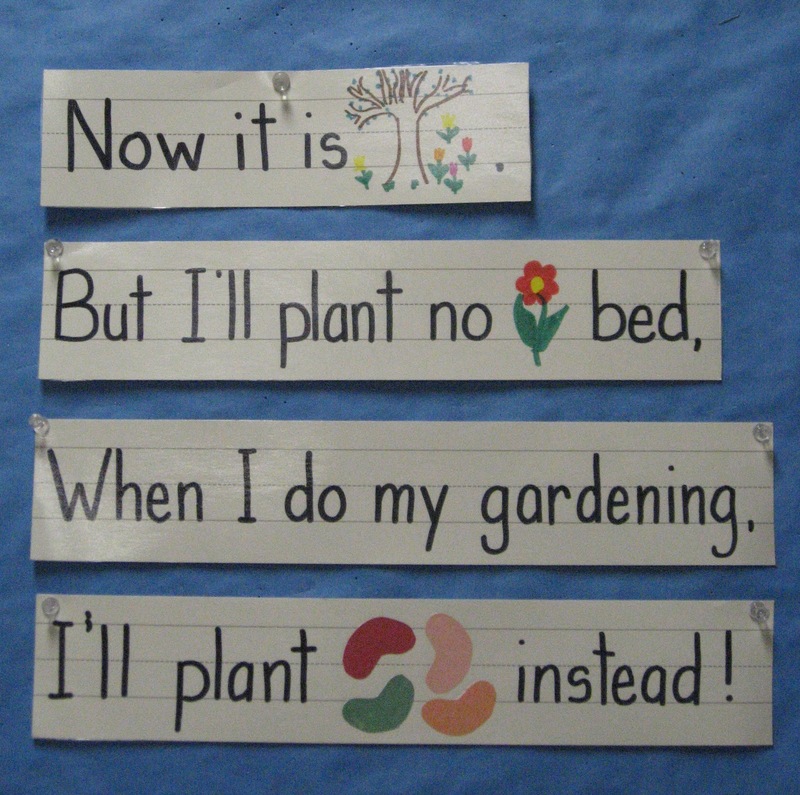 This poem inspired planting jelly bean seeds. As everyone knows, jelly bean seeds are magical, so you never know what a jelly bean plant will look like. 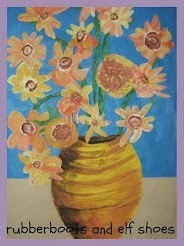 Sometimes there is a single stem, sometimes multiple stems; it can grow jelly beans of one colour, or all the colours of the rainbow. 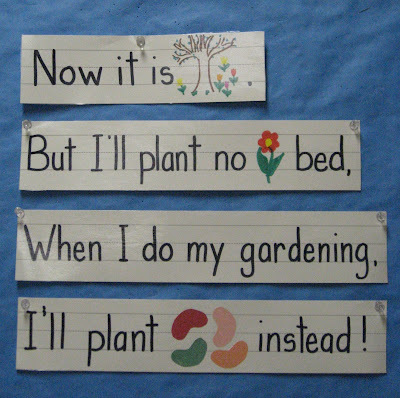 Each plant is unique. The kids were given the raw materials for jelly bean plants. The jelly bean plants are as individual as the kids who grew them. Jelly beans are so much fun. Enjoy your jelly bean week.